On April 8, 2019 at 6:00pm the Syracuse University Sport Venue and Event Management, M.S. students along with members of the Syracuse University Athletic Department will gather at the Embassy Suites' Liberty Ballroom to celebrate funds raised in support of families fighting pediatric cancer through the help of Griffin's Guardians. 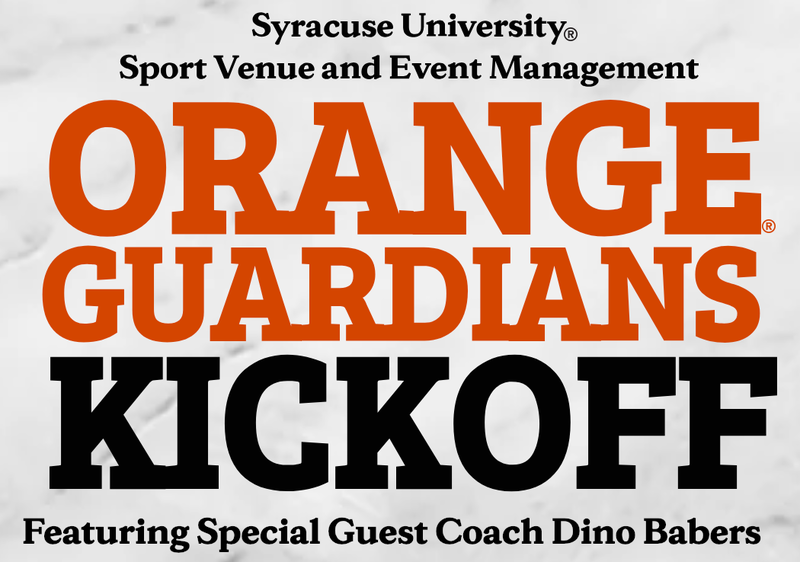 The event will feature a cocktail hour, dinner, silent auction, keynote speakers and VIP guests, as well as an optional VIP experience that includes an exclusive photo opportunity with Camping World Bowl Champion and Head Coach of Syracuse University Football, Dino Babers.